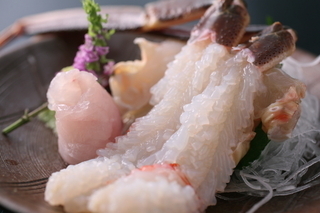 This plan features a brand tagged Shibayama crab which is caught at local port The brand tag guarantees its high quality and conditions. Only carefully selected crabs are served here. 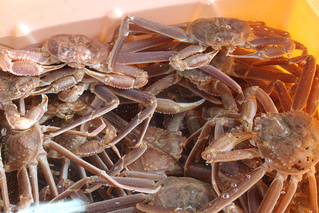 We boil crabs in our own large pot immediately as it lives after we bought it. 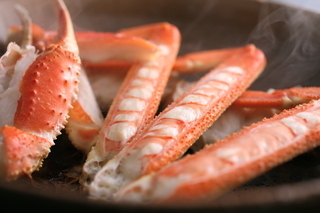 You can taste and enjoy crab’s “Umami” with these boiled crabs. Recommended for those who want to enjoy plenty of crab dishes (including three crabs per person.) 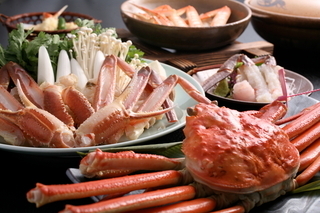 -Dinner Menu- -Shibayama crab Sashimi, boiled tagged Shibayama crab(whole crab), crab hot pot, grilled crab, crab tempura, crab Zosui(rice porridge), dessert. -Using about three crabs per person. 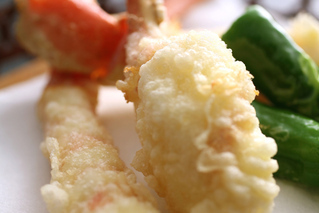 - The size of Shibayama crab is subject to change due to the price rate. Both meals (dinner and breakfast) are served in your room. (There is a case that meals are served in another dining room depending on the number of guests), -All the rooms are with spacious washroom, -Free colorful Yukata even in winter. –Free two indoor baths for private use. –Free admission ticket for seven hot spring bath houses as many time you like.